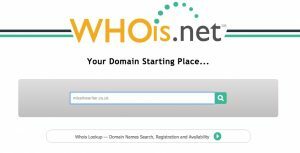 If you’re interested in domains and web hosting, you’ve probably heard of Whois and the domain age checker. They’re extremely useful tools for finding out information about certain domains and websites. However, do you know everything about these tools? 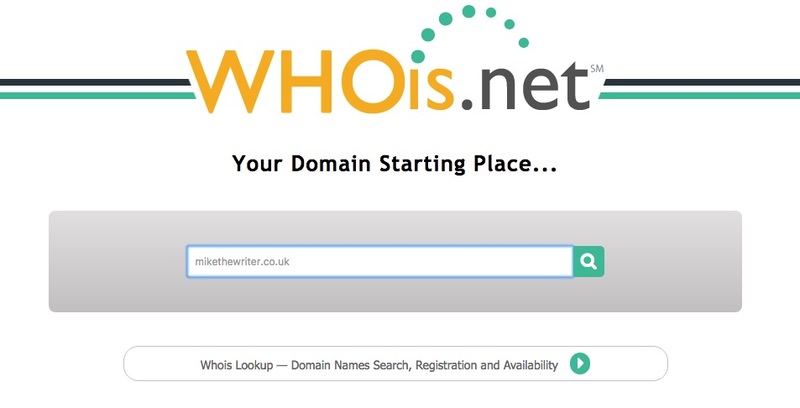 In this article, we’ll show you all about the what, why and how about Whois and the domain age checker. 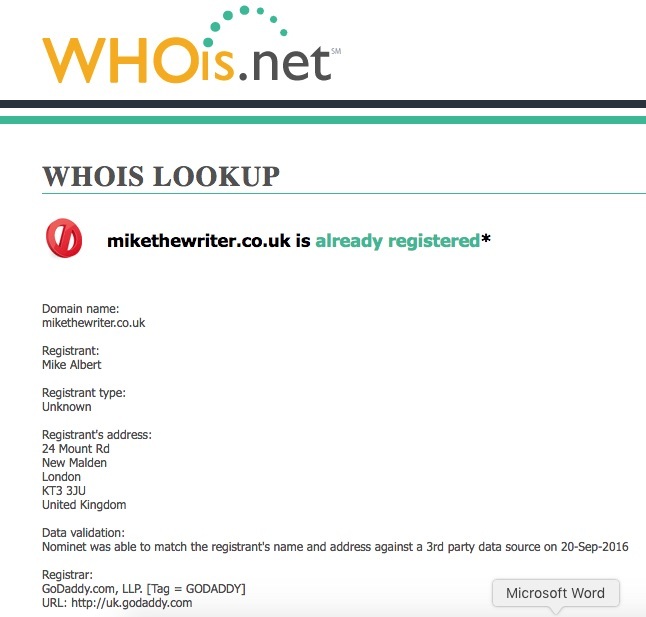 Whois is the global database of domain ownership. When you take ownership of a domain, either by creating a new one or purchasing one from someone else, your details go into the Whois database. The information that goes on to Whois includes your name, address, phone number, email and hosting details. All this information is completely public and searchable by anybody. How do You Search Whois? To search the Whois database there are numerous tools available. If you search Whois on your favorite search engine you’re sure to see many different searching options. Click on to whichever Whois searching site you like, then enter the domain you want to search in the search box and press enter. You should be presented with all the information you need. There are many reasons why being able to look at Whois data is useful. 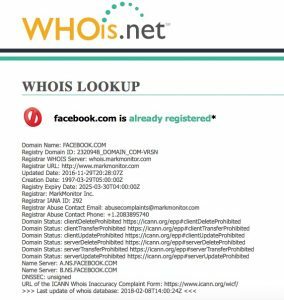 If for any reason, you want to know who owns a particular domain, Whois can tell you. Perhaps you want to check that a domain is genuine, owned by the people you have been told it is. Perhaps a website has wronged you in some way and you want to open up a legal dispute. Perhaps you want to buy the domain name. For all these things, you need to know who owns the domain. Out of all of those, Whois is most useful when you’re looking to purchase a domain name. Many times, you see domains which are clearly unused, with parked screens on them. If you see one of those, but think you could make better use of that name, if you can find out who owns it, you can make them an offer to buy it. Whois data is also used to verify your identity if you want to purchase an SSL certificate for your site. This shows users that your site is secure and allows you to use https: at the start of your web address. 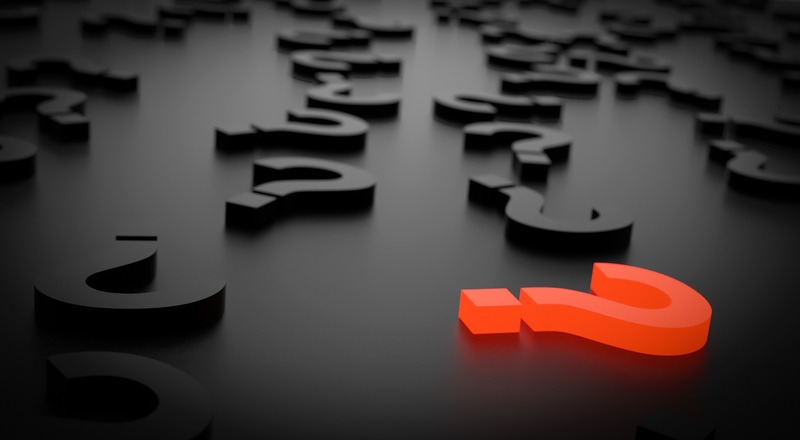 The main issue with Whois is that it doesn’t always give you accurate information. Sometimes, Whois caches so the information isn’t always up to date. Other times, the owner doesn’t want you to know exactly who owns the domain, so they use shell companies to disguise it. Another issue is transfer locking. Since December 2016, when contact information for a domain is updated, the domain is locked for 60 days. This is a precaution against website theft. If this period is still elapsing, the Whois data may not be accurate. Finally, there is the option available to keep your Whois details private. When you purchase your domain, you have to pay extra for this option, but it stops people being able to search your domain on Whois. It helps stop unwanted contacts, such as spam emails, junk mail, and unsolicited phone calls. Facebook, for example, have clearly taken up this option. 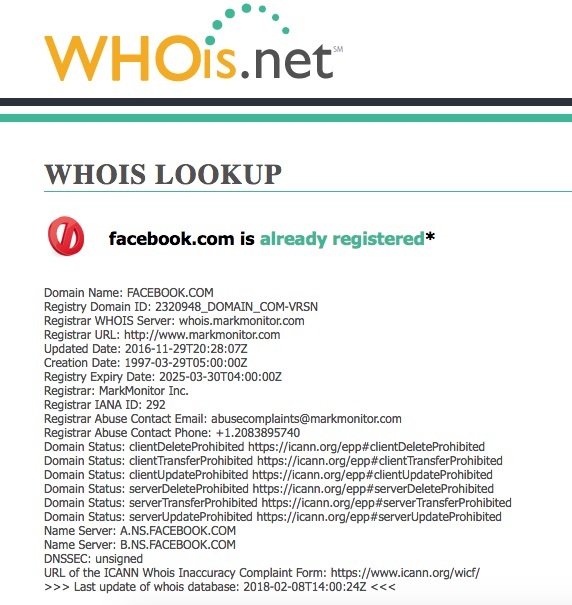 You can’t see anything about their domain on Whois, let alone Mark Zuckerberg’s address and phone number! 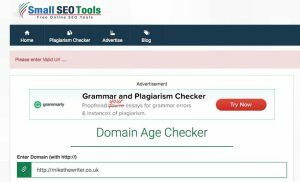 What is the Domain Age Checker? The domain age checker is exactly what you think it is, a tool that allows you to check the age of a web domain! Like the Whois database, there are many different sites that will let you search for the age of a domain. Try some out and find the right one for you. Simply type the domain you want to find out the age of into your search bar and press Enter. 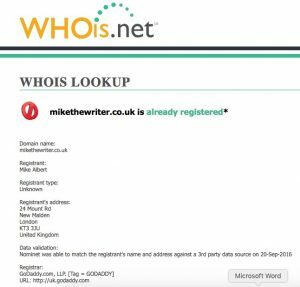 You’ll soon be presented with some results, including at the top, the date the domain was registered. You can also see details of the web hosting company in the domain age checker results. 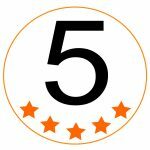 Why is the Domain Age Checker Useful? The reason why most people want to find out the domain ages is to estimate their value. It’s all about the domain buying and selling market. To put it very simply, the older a domain is, the more valuable it is. 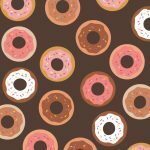 The older a domain is, the more likely it will have backlinks pointing to it, giving it authority with search engines. The older it is, it’s likely that its traffic level will be higher. Older sites are likely to have a better reputation and be more well known. Most importantly, it will be higher in the search engine rankings. Therefore, it will be worth more in the secondary market. Of course, that’s in an ideal world. It could be that the opposite is true and the domain has a terrible reputation because it’s been dabbling in murky, black-hat SEO techniques and has been penalized by Google. If you’re buying a domain, you need to do deeper research than just the domain age checker. 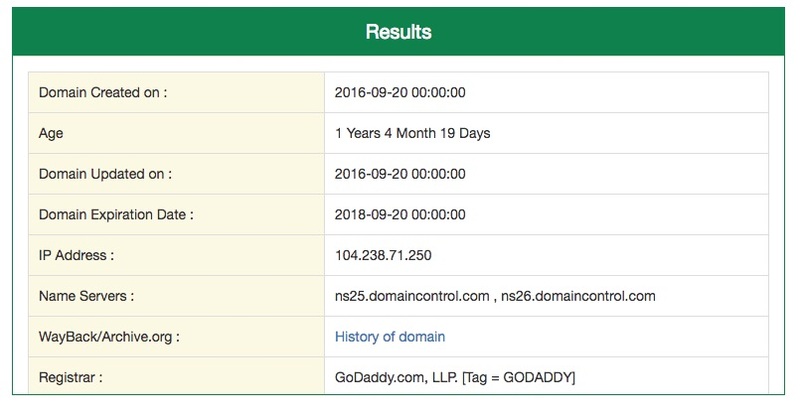 We hope that this article has given you a deeper understanding of Whois and the domain age checker. They’re simple, easy-to-use tools which help you find out more about domains. Whether you are looking to purchase a domain, or just being nosey, you can find out everything you need to know. 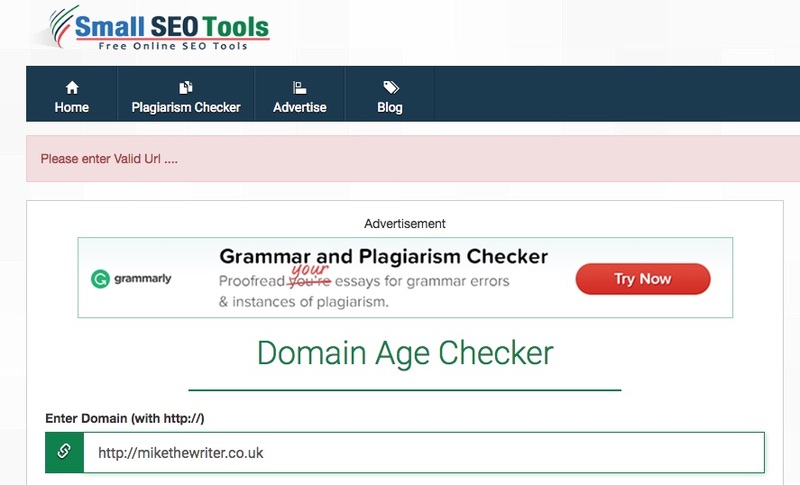 Some domain age checkers tools are not correct. I once tested on with my site but it just shows the wrong age, maybe become I transferred it another registrar. I used smallseotools these days to check anything about domains age, DA etc. Domain age tools go by the latest date that you registered your domain, so it is probably from transferring your registrar.